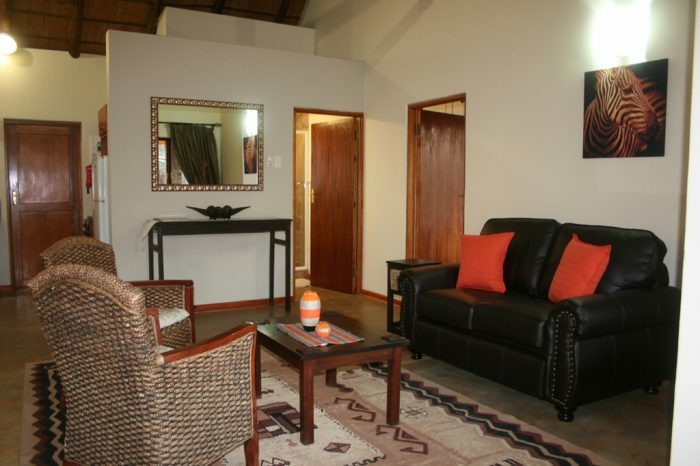 Thekwane Lodge consists of two family suites sleeping four each and the two rooms sleeping two each sharing a field kitchen. B&B or self-catering options available. The Lodge can also be hired per section or as a whole. It can sleep 12 to 14 in the four areas. Thekwane House is adjacent to Thekwane Lodge. The house is roomy with four bedrooms each with a queen double bed and a single bed. Main bedroom is en-suite with the other bedrooms sharing a large bathroom with a separate third toilet. The house thus sleeps twelve guests. All bedrooms have a ceiling fan for comfort. The kitchen is fully equipped for 12 guests. 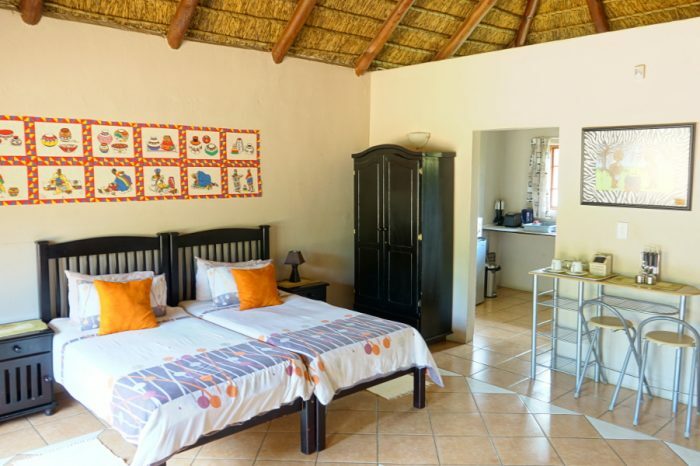 There is a thatched lapa with braai, pool, Jacuzzi and kids playground. The house can only be booked as a unit for a maximum of 12 guests. 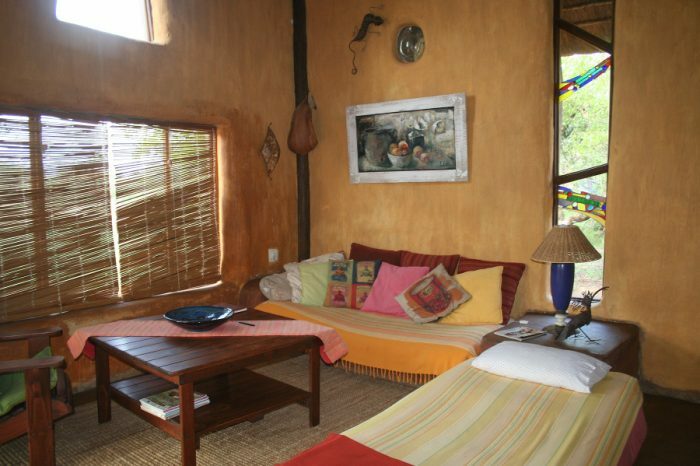 House comes with bedding, toweling, crockery & cutlery, liquid hand soap and toilet paper.